Does an Extended Period of Rest Ensure the Best Recovery After a Concussion? The widely accepted idea that the brain needs to rest for an extended period of time to ensure the best recovery after a concussion is being called into question. 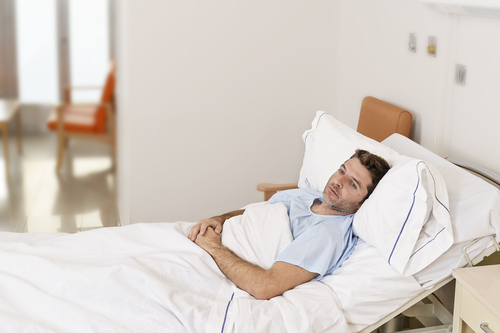 Trends among recent studies show patients with prolonged periods of rest have worse outcomes than those who rest for a shorter time before gradually returning to their routine. The results of a study carried out by the University of Ottawa analyzed how children with concussions healed based on differing recovery practices. After one month, the children who returned to exercise within one week of sustaining a traumatic brain injury (TBI) reported just about half the persistent symptoms of the children who did not exercise in that timeframe. Other studies involving humans and rats have shown the same results. The participants who took extended periods of rest fared worse than those who returned to regular activity sooner. Admittedly, these numbers may be skewed by the nature of the injury and the parameters of the studies. It is possible the children who had more severe symptoms to begin with were physically unable to return to exercise within the first week due to balance issues or dizziness from the concussion. That fact alone could account for the anomaly between rest and recovery in these scenarios. Additionally, many experts warn against returning to physical activities and work or school before the symptoms have subsided. Much like muscles after a long run, the brain requires some rest to heal properly. The threat of Secondary Impact Syndrome is another issue. More and more information is regularly published about this and other brain injuries caused by repetitive assaults in the wake of the movie about TBIs in the NFL, Concussion. In contrast to the idea that the damage caused by a blow to the head is irreparable, more and more physicians are approaching concussions as injuries that can be rehabilitated with specific therapies. But, this does not mean they have patients up and running in the days after a brain injury. Rehabilitation from a TBI is a wholly unique process. It involves a period of rest immediately after the injury followed by exercises for the various functions of the brain such as motor skills, memory recall and word finding, and eventually resuming normal activities as tolerated. These exercises allow physicians to identify areas for improvement and monitor changes as therapy continues, modifying the program to meet the unique needs of each patient. If you or someone you know has been diagnosed with a concussion, contact one of our team members and download our free guide, The Layman’s Guide to Brain Injuries, to learn more about the recovery process.